Oakiwear Trail One Piece Rain Suit Review Mama Say What?! | Mama Say What?! 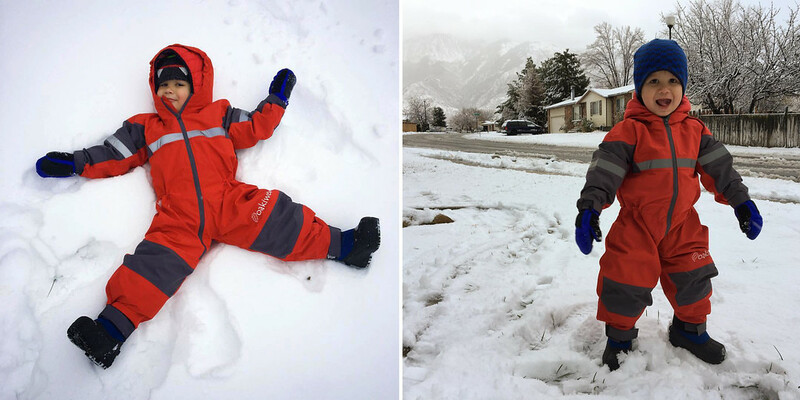 I wanted to write a review about a product that has really surprised me on how fantastic it has been for both of my kids: the Trail One-Piece Rain Suit from Oakiwear. More than a few friends whom I met through Hike it Baby raved about their Oakiwear suits and I didn’t think they could possibly be THAT awesome, especially for the $60 price tag (the price has since dropped to $40). Then I got a deal on one through Hike it Baby and they also went on sale on Amazon, so I picked up one for each of my boys. I have been completely wowed by these suits and I really wish they made them in bigger sizes so my kids could use them well into their teens. What the heck is it? It’s a completely waterproof, hooded, one-piece suit. Even the seams have been sealed. There’s a drawstring that cinches at the waist for a better fit and there are stretchy tabs at the ankles and wrists and Velcro to get a snug fit around gloves and boots. Because these suits can be cinched down so much, they recommend buying a size way bigger than your child needs so you can continue to use it for multiple seasons. My son was wearing a 2T when I bought his first suit and I bought him a 4T. I honestly could have purchased a 5 and it would have worked too. My oldest son wears a size 6 or 7 and I bought the size 8/9 suit for him. If they came any bigger, I would have gone bigger still. These will fit my boys for at least two winters. Maybe a little longer if I’m lucky and their torsos don’t grow too fast. What do we use them for? We use them for outside play when it’s wet, muddy or snowy. 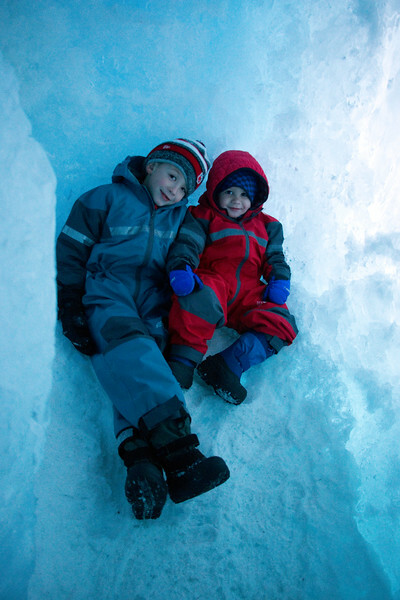 These are fantastic for snow play and puddle stomping. When the suits get dirty, and they do, I shake them off outside to get off any dirt, mud, or ice and then throw them into the washing machine. A cold water cycle later, they get hung to dry and they’re good to go. The waterproof fabric dries really quickly too. On a snowy day, these aren’t thick enough on their own to keep my boys warm, so we layer with wool base layers and fleece under neath. 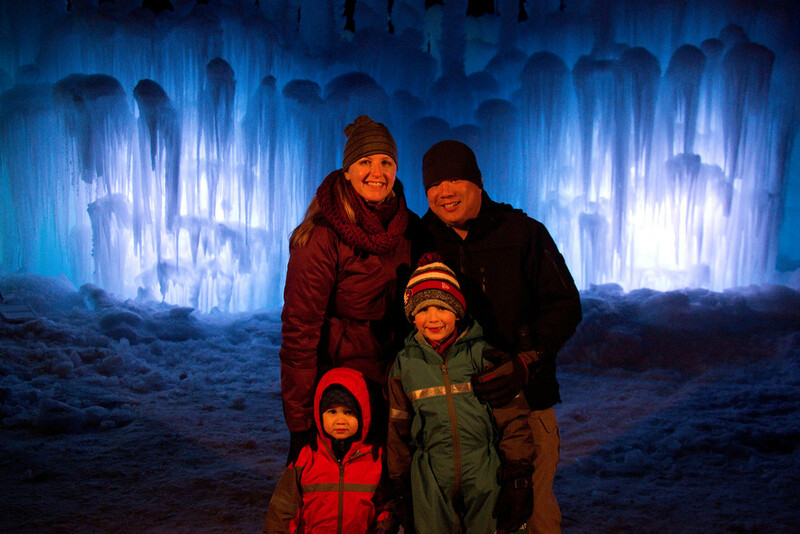 We visited Ice Castles on New Year’s Eve and it was a whopping 12° F. Both boys were snug and warm. A little hot cocoa helped too. 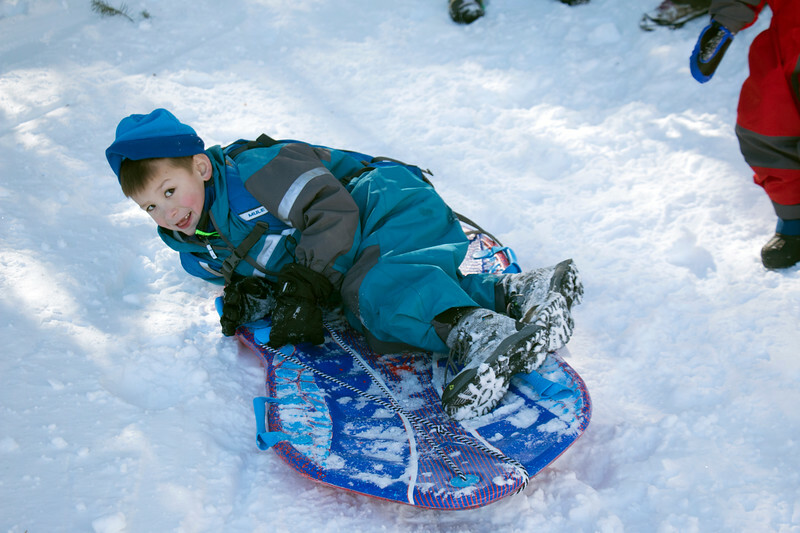 My oldest has said more than a few times that he love to wear his Oakiwear suit when he plays in the snow and goes sledding because when he wipes out, he doesn’t end up with snow going up inside his jacket. Now, about that $60 price tag… it has since dropped to $39.99. Why? They have made some changes to the type of fabric they use, likely allowing them to drop the price. The folks at Oakiwear are saying it’s a little softer, but still just as durable. When my youngest outgrows his or I can convince my brother to get one for my niece, I’ll let you know. Either way, I can’t recommend these enough! Added by Alex T. on February 14, 2017. We just got one for my son who is going to forest school. I really am excited for him. I wish they would sell something like this for adults.